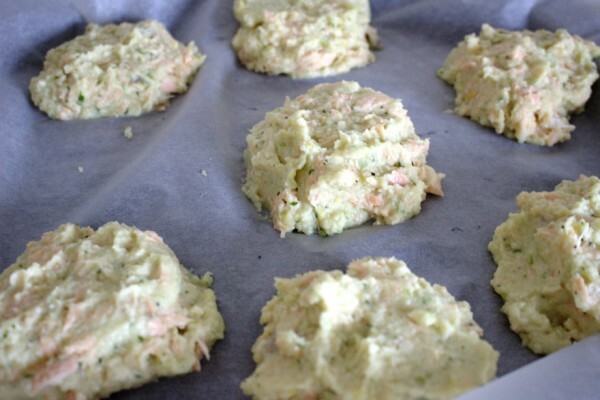 I am really proud of these gluten and grain-free salmon fishcakes. I have tweaked the recipe quite a number of times to arrive at what I hope you’ll agree is a tasty result. They have all the flavour of regular potato fishcakes but without all those carbs and a healthy dose of vegetables instead. We were not always big fish-eaters in our house but now we eat wild salmon at least once a week. Salmon’s anti-inflammatory benefits mean we can’t afford not to eat it. Luckily, I have access to good quality fresh fish every week. As a result, I’m always looking for new fish recipes. In my pre Specific Carbohydrate Diet (SCD) days, I used to make potato fishcakes all the time. I’ve been wanting to make an SCD-legal version for quite a while. I often make a big batch of these and keep some in the freezer ready to pull out for next day work lunches. Paired with a green salad, they are quite delicious. Cauliflower has become such a staple for me. 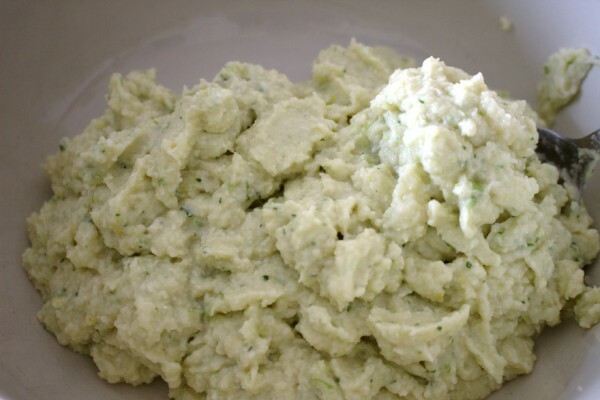 It is so versatile and has a great ability to bulk up foods almost like potato. It goes really well with fish and cheese which is why I chose for the base of these salmon fishcakes. This is a great recipe to encourage children to eat fish too. They won’t be intimated by seeing a large piece of fish on the plate. 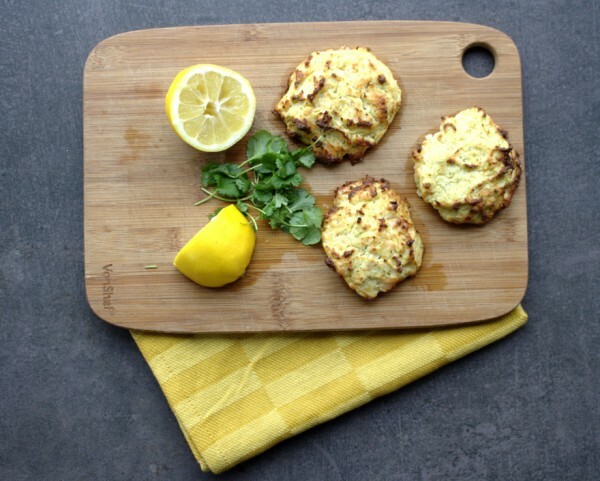 As well as that, the lemon, coriander and cheese make these fishcakes delicate in flavour and not overwhelming even if your kids don’t love fish. 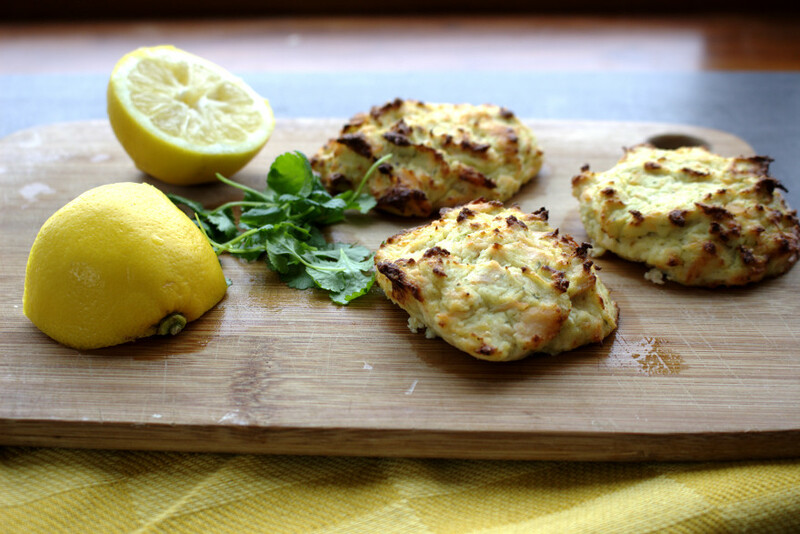 Delicious gluten and grain-free salmon fishcakes with lemon, coriander and Parmesan cheese. Also suitable for the Specific Carbohydrate Diet (SCD). 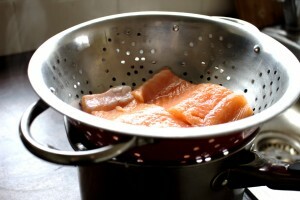 First, steam the salmon by making a steaming basket with a saucepan and a metal collander (don't use plastic!). I learned this method from Jamie Oliver. Choose a saucepan that will exactly hold the collander as shown. 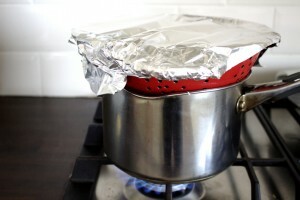 Place boiling water in the saucepan. Place the samlon fillets in the collander, cover with tin foil, turn on a medium heat and cook for 10-15 minutes until cooked through. In a blender add the cauliflower, two cheeses, almond flour, spring onion, coriander, eggs, lemon zest and season well with salt and pepper. Mix well. Pour the mixture into a large bowl. Carefully remove the tin foil from the colander but be careful as the steam could scald you! 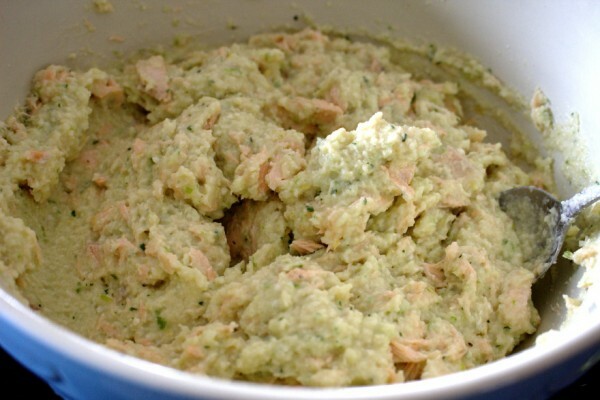 Flake the cooked fish into the cauliflower mixture and mix well. The skin can be removed and discarded. Place even scoops of the mixture onto prepared baking trays lined with parchment paper. Bake for 25-30 minutes. Serve with a delicious green salad.